I took my son Zak in to town Saturday and as usual he wanted to go on the Ugobus 15. He likes the big Volvo Wright buses that have been used on the 15s since it started and was a bit disappointed that this one turned up. 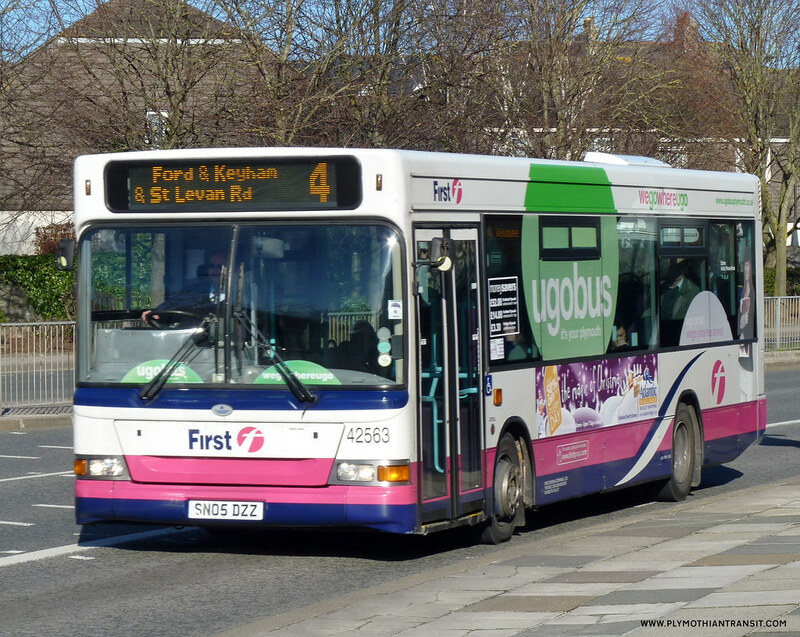 I must admit I have been surprised at how consistent First have been with the allocation of buses to their recent Ugobus service like the 15. This is the first Dart I have seen used on the 15, and I assumed it was just a breakdown cover or something, although another commenter noted on Saturday: "Non B7's working 15 and older buses on 17"
On a totally selfish note I do hope this is not the beginning of a trend as although there is no good reason for the 15 to have the best buses, it would be sad to loose them to lesser, albeit probably busier routes. The Dart, although not much older than the Volvos was a lot louder than the Volvos and gave a much harsher ride.